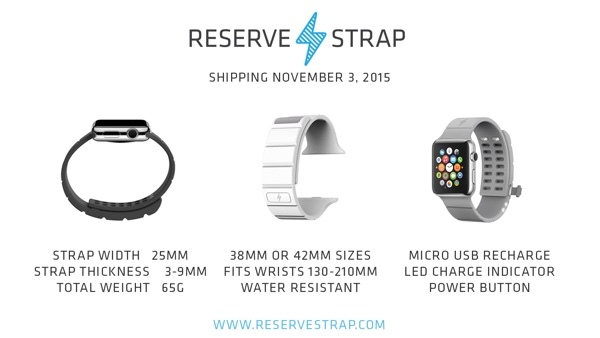 Reserve Strap has today lifted the lid on more details of its first Apple Watch battery-toting band. 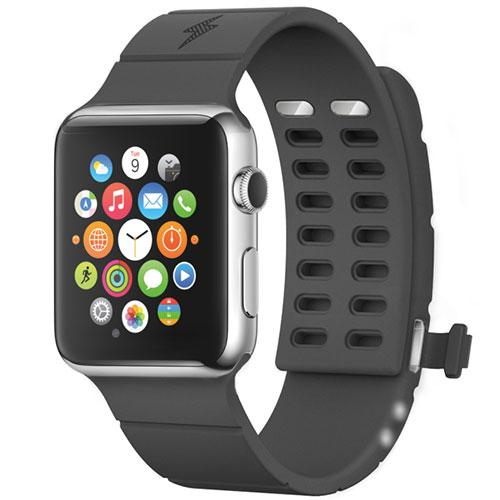 Claiming an extra 30 hours of battery time for your Apple Watch, the band won’t come cheap, though. Owners of the Apple Watch have generally been happy with the amount of time they can go between charging the device, but there will always be people who want or need their smartwatch to last longer on a single charge. They tend to be a vocal minority, but that doesn’t mean that their feelings carry any less weight. If someone needs the Apple Watch to last two or three days on a single charge, then it’s a problem when it won’t. With Apple’s iPhones and iPads, people get longer battery life out of them by using either a battery pack or a case that incorporates one. There is a booming third-party accessory market for such things, and the Apple Watch may be about to see a similar market emerge. Apple has already made it clear that it wants companies to make certified third-party bands for the Apple Watch, but currently, a band with a battery built right into it is something Apple does not want. 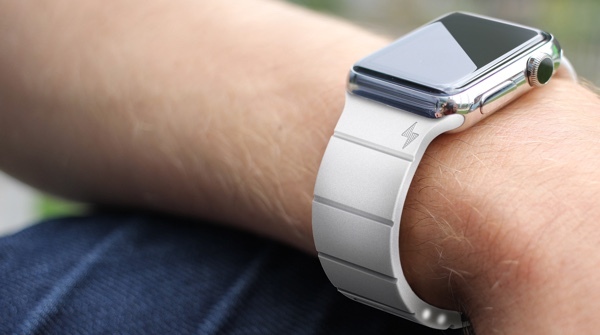 But that won’t stop Reserve Strap from making its first Apple Watch with a built-in battery. Made of “Specialized Thermoset Elastometer,” the band also has a battery that Reserve Strap claims will extend an Apple Watch’s battery time by an extra 30 hours. The band connects to the Apple Watch via the hidden diagnostic port that is beneath one of the band attachments, which means the overall aesthetics are surprisingly good. In fact, we suspect most people won’t realize that the Reserve Strap band is any different to a normal band, which is quite the compliment. And it’s a good job this thing looks good, because whether you choose the white, gray or black model, you will need to hand over $249.99 in order to get one. That’s right, we can confirm these are the right number of digits in that price! It may not be cheap, but if you do need your Apple Watch battery to last an extra 30 hours and have the cash laying around to buy one, the Reserve Strap battery band is probably for you. You will be able to pick one up come November time. if iFags can come up with a band to tie up the iDeadBattery up to their foreheads, it will be a hit with extra super long 10 hours or internet browsing and watching their idol Crook the fagget shaking hands. My battery lasts 24hrs. Don’t think I will pay $250 for a band that’s not really needed. Apple are winners, and you are a loser. I’m pretty sure that apple made it clear that 3rd party straps aren’t aloud to charge the watch via the diagnostic port and therefor you’d be risking apple releasing an update that blocks the $250 strap from working. I wouldn’t risk that much money on a strap that might not work for long. Too much of a niche market, people stupid enough to buy the first version of the apple watch, and don’t like their current band and want more battery life, and don’t mind their wrists exploding should the new band get punctured..